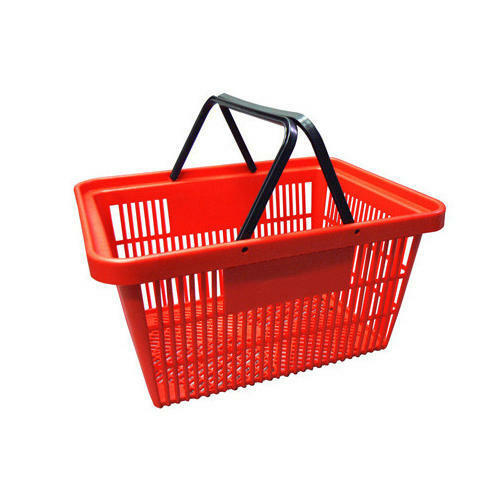 We provide the first class quality of Plastic Shopping Basket. We Erati Racking System , from 2003 are manufacturing, exporting, supplying and trading a high-quality Display Racks. Offered products range consists of Grocery Display Racks, Garment Display Rack, and Crockery Display Rack. These products are manufactured by us using quality approved materials. In addition to this, our product range is highly admired by the clients for their world-class standards and some exceptional features such as compact designs, long service life, dimensional accuracy, anti-corrosive finish, high tensile strength, sturdy construction and elegant looks. We have highly experienced team of professionals, which are well-aware of their responsibilities. Besides the standardized products, we offer these products in customized form as per the precise requirements of our clients. Our esteemed clients can avail these products from us at competitive prices. Apart from this, our entire product line is rigorously tested on quality parameters under the supervision of quality controllers prior to the final delivery to clients.